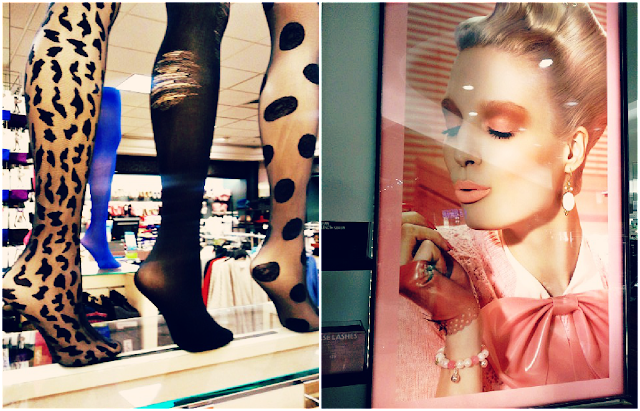 - I've been on the search for some cute stockings. Halloween's coming up and I need some costume ideas. - Loving the new MAC poster in the department store. - I bought 2 of these Pumpkin Pie Yankee Candles. One for the living room, the other for the office. - I was *this* close to buying this MK handbag just for the simple fact that it was a nice leathery orange. Me and my orange phase, I tell ya. 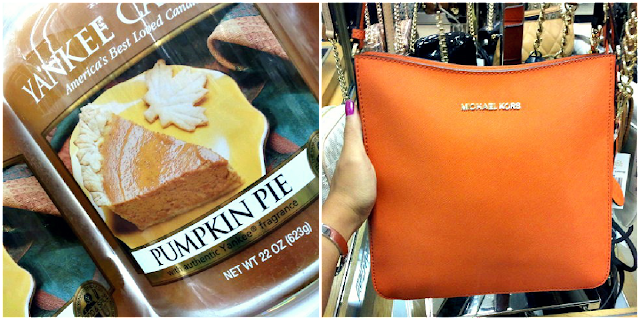 Plus, I've been looking for a matching bag to go with my wristlet. hey michelle, what are you doing for halloween this year? I love funky tights! I got a skeleton pair last year, would be good for Halloween but we don't really celebrate it here.